Hello, I am trying to install ubuntu on a system that came with windows 10 pre-installed. The problem I have is I can't get anything to load from the grub menu. (Neither 'try' nor 'install' options work). The screen simply goes black and stays that way (I let it run all night to see if my system was just being slow with no luck). I even tried manually typing the launch lines and everything works up until I type 'boot' - then nothing. No error - no output - the system just hangs. Running an ls from the grub command line comes up with some interesting results. It shows some interesting partitions (hd0,apple1) for instance with 'unknown file system' when I try to read it. I don't know if that is related. I would really like to get some type of linux working on this system as windows 10 is such a resource hog, but I have hit a wall any everything I have seen mentioned assumes you can get past the original grub loader (at least to install the system). What make and model is your system, what kind of graphic card does it have? You might have to add some additional option to the boot lines, maybe "nomodeset". 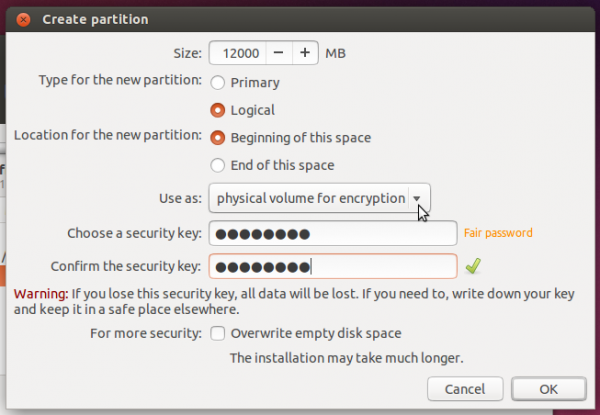 Which version of Ubuntu are you trying to install? It is an HP Pavilian Laptop model: 13-a110dx. It uses Intel HD Graphics 5500 (nothing fancy). I figured there was some type of option I needed to add to the boot lines, but I don't know enough about grub. Also I am trying to install the latest ubuntu (I believe it is 17.10.1). I have tried both the lubuntu version as well as the standard desktop ubuntu with the same results. Have you tried Ubuntu 18.04 (Codenamed Bionic) ? It is LTS and due for release soon. It will be supported until April 2023. Ubuntu 17.10 (Codenamed Artful) is not LTS and only supported until July 2018. I tried nomodeset (not sure if I'm doing it right). I tried placing 'nomodeset' before the three dashes at the end of the linux cmd line and in place of the dashes. I can't seem to find an exact description of how to 'use nomodeset'. As you can probably tell I have no idea what I'm doing here. Are these just like any other command line switches? does it matter the order? Nothing I do seems to change the black screen I get when loading. That includes selecting "Erase disk and install Xubuntu", which will get rid of any resident MBR, GPT GRUB, GRUB2 or BSD loader information. However installing in GPT (+EFI) mode adds GPT backup information a the end of the disk. Therefore choose "Overwrite empty disk space"
Finally (BEFORE REBOOT) open a terminal during setup and run »fdisk -l« to check of any GPT error messages/warnings. If that is the case a dd if=/dev/zero of=/dev/sda seek=????? (depend on your disk size) count=???? (depends) may be necessary. Ok - I feel like I keep repeating myself. 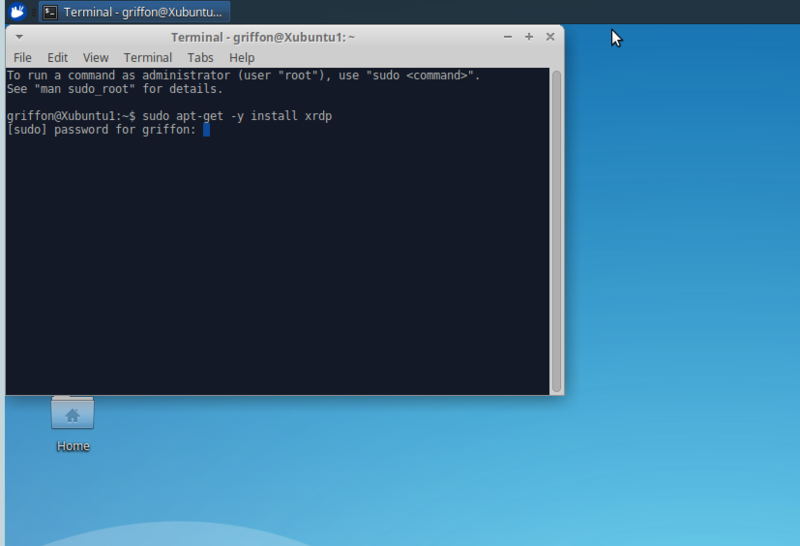 GRUB does not load on my system - that means there is no linux to reinstall. Grub is loaded first (except it isn't loaded at all). The system freezes up whenever grub tries to load anything. My question is what options can I pass to GRUB (linux doesn't work yet!) that will let me load linux. Is this just an impossible task? Did the manufacturer hard wire this model to not work with Grub (and by extension linux)? > rid of any resident MBR, GPT GRUB, GRUB2 or BSD loader information. > end of the disk. > Therefore choose "Overwrite empty disk space"
> Finally (BEFORE REBOOT) open a terminal during setup and run »fdisk -l« to check of any GPT error messages/warnings. If that is the case a dd if=/dev/zero of=/dev/sda seek=????? (depend on your disk size) count=???? (depends) may be necessary. > Ok - I feel like I keep repeating myself. GRUB does not load on my system - that means there is no linux to reinstall. That is your interpretation, which however is not necessarily correct. I told you to completely wipe your boot sector and loader information, including backup information. > Grub is loaded first (except it isn't loaded at all). The system freezes up whenever grub tries to load anything. > My question is what options can I pass to GRUB (linux doesn't work yet!) that will let me load linux. Options are probably not the problem unless you reinstalled your OS from scratch and made sure old boot sector and boot loader information was wiped entirely. That is often not the case when switching between classical MBR and GPT or even BSD loader schemes. > Is this just an impossible task? Did the manufacturer hard wire this model to not work with Grub (and by extension linux)? That may be possible but to determine that we need more information on how and where the boot fails. That is sometimes hard to determine. Thus we need more information on screen output and log data. Best is to boot your computer from a Ubuntu or SystemRescue LiveCD and analyze the logs on your hard disk (e.g. /var/log/syslog or /var/log/messages). My system currently has Window 10 on it. I would like to install linux. You can tell me that grub is loading all you want but that doesn't change the fact that every time it tries to boot from grub (either the liveCD or the installer) the system hangs with no error message. If I type the commands in manually the cursor goes to the next line and blinks and if I just try to load it normally it shows a black screen until I shut it off. THIS IS THE UBUNTU LIVE CD (no CD - USB stick) this is not my system loader. My system loads into Window 10. I how no issue with wiping that out but I need something to put in it's place. How do I do this? If there is a way to get more information I don't know it but I'm willing to try anything. The boot menu from the CD and an installed grub on a hard disk drive are something different. I read your post again and realize that you did not refer to grub on disk, but an install problem when booting from CD. Best is to pres F6 and press "space" (key) to select an option from the list like "noacpi" (or whatever you like), the press escape (key) to leave the menu and finally select install *buntu (confirm with enter key). You wrote, that you tried placing 'nomodeset' before the three dashes at the end of the linux cmd line and in place of the dashes. Please, don't do that (edit the line manually) unless you've done that correctly before since it complicates hings here. Simply press space to select multiple entries from the list. I'd try nomodesetting and noacpi and those maybe in combination with verbose mode. If none works you're pretty much screwed. In any case try to make a snapshot with a cell phone and write the last message (or error if any) down here. Of course try to choose the AMD64 version or use Xubuntu AMD64 or i386 in case Ubuntu does not work or you have 4GiB (or less) of RAM! I found the i386 version to run sometimes more stable and reliable than the AMD64 version. Other than that, please describe your environment a bit more. You mentioned a HP Pavilion Laptop model: 13-a110dx. Do you install directly on it or is there some kind of hypervisor below your OSes? Is there anything connected besides USB mouse, USB keyboard or ethernet cable (if socket exists)? If so please disconnect everything especially card readers, printers, drives, hubs and HDMI (for testing) and disable the WiFi or Bluetooth 4.0 via switch on the side if possible. Sometimes they interfere with Linux kernel hardware detection. Did you alter your BIOS or EFI settings yet? I'd disable all the secure boot and boot protection stuff and/or set to legacy mode where possible for compatibility reasons. Is this your hardware and when (year) did you buy it? The only thing connected to my computer is the thumb drive with the boot image I am using the built in keyboard. There are no hardware switches for Bluetooth/WiFi. The hardware you linked looks about right and I got it from my mother in law about 6-months ago (she tends to trade up every two years or so so it isn't that old). Every option gives me the same thing (even 'Check disc for defects') - a black screen. I do appreciate all the help you have provided even though nothing has worked. Thank You. Um... the 16.04 LTS release is from April 2016 and HWE (hardware enablement stack) drivers and X11 server are only available -after- install time. Therefore the 16.04 LTS distro may be too old for your hardware. "Pressing F6 doesn't appear to do anything (If I remember that option shows up after the grub menu). This is what I'm looking at:"
Then there is your F6 available. And press space as soon as you see the white icon at the bottom to reach the CD menu! I downloaded the image you linked to but there was no change. I can't get past that screen that I showed you (though now it says Xubuntu instead of Lubuntu). All I get is a black screen (no two white icons appear and F6/Spacebar does nothing). You keep teling me my problem isn't GRUB but that is the menu I can't get past. No, the custom boot menu you showed (https://pasteboard.co/HjaKFBm.jpg) is something different than the official boot menu from the Xubuntu CD I linked (https://zdnet1.cbsistatic.com/hub/i/r/2014/08/29/05c628ac-2f2f-11e4-9e6a-00505685119a/resize/1170x878/a3992491bb21059139dbe6a7573841ca/xubuntu1.jpg). In other words: the menu you see (https://pasteboard.co/HjaKFBm.jpg) is -not- what you are supposed to see when booting a Xubuntu LiveCD from an actual physical disc (e.g. DVD) or when booting the ISO within a virtualization solution (e.g. Oracle VirtualBox 4.x/5.x). Maybe its best to seek professional help/advice from a local computer store or family member/friend, etc., preferably with a degree in computer sciences. Besides there is no GRUB installed when booting from CD. You're clearly confusing things. So the problem is that my computer doesn't have a physical CD drive. The only way to install a new OS is via USB. If it is the process of creating the USB drive that is the issue do you know of a better program to use? I have tried Rufus on windows and Startup Disk Creator on Linux - they both give the same menu. Any suggestions? Well, guess I was right. It is the creation process. Of course it had to be since historically disks use boot loaders like GRUB, but CDs employ the El Torito Bootable CD Specification (ISO 9660). To solve your problem and have the original ISO menu for diagnostics I recommend using an external DVD reader and connect it via USB to the system. Avoid all these disk creators, since they usually create their own boot menu. Also I'd avoid a hardware turnover very two years. With BSD or GNU/Linux systems that's a very bad idea. The rule of thumb is, that your hardware should be at least 12 - 24 months old for use with non-Windows operating systems. Provide an answer of your own, or ask Jhessin for more information if necessary.